President Trump celebrated a major political win Friday, joining the leaders of the Mexican and Canadian governments in signing a new North American trade deal that overhauls the rules governing more than $1.2 trillion in regional commerce and closes the door on a quarter-century of unbridled globalization. In a half-hour ceremony in a downtown hotel, the president lavished praise on the agreement, calling it a “truly groundbreaking achievement,” and he nodded to his blue-collar base with claims that the measure would promote “high-paid manufacturing jobs” and farm exports. But the new U.S.-Mexico-Canada Agreement faces uncertain prospects in Congress next year, where Democrats will control the House of Representatives and may be reluctant to help the president fulfill a 2016 campaign promise as he gears up to run for reelection. Friday’s ceremony was relatively subdued, save for Trump’s acknowledgment that the trio had done “battle” to reach an accord. A light-rail extension in California. An interstate highway in West Virginia. A new ferry terminal in Washington. State and local governments could have to pay millions of dollars more to finance these and other infrastructure projects around the country, as the Trump administration’s steel tariffs combined with a strong economy and a tight labor market push construction costs higher. In Dover, N.H., city officials will have to make cuts to next year’s capital improvement budget after the winning bid on a flood-control project came in $1.5 million higher than the city’s $3.3 million estimate. “It’s not a project that we can delay,” said Michael Joyal, the city manager. The project involves installing hundreds of feet of steel-reinforced concrete pipe under an active railroad track. Glenn Cairns, president of George R. Cairns and Sons Inc., who won the bid, said the difficulty of the job pushed up costs along with higher steel prices, which he hopes to lock in with suppliers before they rise again. Through October, the price of diesel fuel was up 27%, asphalt-paving mixtures were up 11.6% and steel-mill products were up 18.2%, all compared with a year ago, according to the Bureau of Labor Statistics. Tariffs of 25% on steel imported from China and other countries imposed in June have given domestic steel makers leverage to raise their own prices, say analysts. In a move that stunned three cities working to map a future for one of the largest remaining open spaces in the region, a small southeast Los Angeles County community has launched a $42 million effort to wrestle the ranch land away from the City of Industry. Industry and Chino Hills, one of the cities with jurisdiction over the near pristine, 2,500-acre Tres Hermanos Ranch, already have threatened to sue if Commerce moves forward with its bold venture. Industry, which has owned Tres Hermanos through its former redevelopment agency for decades, was approved to buy back the land on the eastern edge of Los Angeles County by a county oversight board last year, but it has not closed the deal yet because of a series of ongoing lawsuits. The city of roughly 200 residents had to buy back the land when redevelopment agencies across the state were forced to dissolve.The state Department of Finance has signed off on the deal, said Jamie Casso, Industry’s city attorney. “It’s mind-boggling that anybody would think that this is possible,” Casso said of Commerce’s move. Sacramento Bee: Could this obscure California state agency derail Jerry Brown's Delta tunnels? Most farmers who would get water from the tunnels still haven’t agreed to pay their share. Rather than support the tunnels, the Trump administration is trying to bend federal environmental laws to simply deliver more water through the existing Delta system to San Joaquin Valley farms and cities — and just rejected the project’s request for a big startup loan. Brown’s successor, Gavin Newsom, says he would like to see the project scaled down. Lawsuits challenging the project abound. Amid that uncertainty, an obscure state council is poised to send the $16.7 billion project back to the drawing board — potentially throwing another roadblock at the tortured, decade-long plan. Plenty of Republicans and Trump fans are crying foul at the number of congressional seats that have moved towards the Democrats since Election Day. Insinuations or outright accusations of orchestrated voter fraud fill my Twitter feed. I understand why people are upset—but there’s no hanky panky afoot. Our election system is broken, but it is not saturated with fraud. Let’s take a look at the California results. Republicans led in five closely contested congressional districts as vote counting ended on the Wednesday morning after the election. Most Republicans looked at that and said, “We won!” The experienced observer, though, noted how few votes had been cast in each contest. Compared to similar seats in the rest of the country, it was clear that only about half of the votes had been counted. There was more than enough left to be counted to change the results, unless California had significantly lower voter turnout than anyplace else. It also should have been clear that those votes would favor the Democrats. That was true for two reasons. First, we have years of experience that ballots arriving on or after Election Day typically favor Democrats in California. Second, the Election Night results would have indicated that California, arguably ground zero of #TheResistance, was more pro-Trump than similar seats in every other state. No one could be sure how many votes Democrats would gain in these seats, but it was painfully clear that they would gain. Now that the votes are nearly fully counted, we have no evidence of anything amiss. The margins of victory for each Democrat are in line with the baseline presidential results from 2016. Despite fervent GOP hopes, moderate anti-Trump Republicans who voted for Clinton in 2016 clearly voted straight Democratic in 2018. Not one of the seats that moved after election day exhibits a result out of the ordinary given the underlying partisan trends at work. Nor is the turnout unusual given the national trends. David Wasserman, a premiere political analyst for the Cook Political Report, complies a spreadsheet on the House voting in each district after each cycle. This year he computes how the midterm votes compare to the number of votes cast in 2016. California’s statistics are again in line with what similar seats elsewhere in the country have shown. The only difference between these seats is that most states, with many fewer mail ballot votes to count, finished their task sooner. The fact is that different types of people cast ballots in different manners and at different times. Since partisanship often follows these types of differences, like age and education, ballot types can often have clear partisan indications. Thank you to board member Cliff Daniel of Methodist Hospital of Arcadia for hosting the Partnership’s workforce development meeting on November 14th. The focus was on the Health Sector and the speakers included member Dr. Alex Davis of the Los Angeles Orange County Regional Consortium (LAOCRC) of community colleges, Shari Herzfeld Deputy Sector Navigator (DSN) for Health, Pablo Artaza of Technical College and Cesar Hindu of Medica Talent Group. The conversation touched on how we went from having a nursing shortage to now having a shortage of nurses with specialty training. Another problem discussed was recruiting and keeping people on the job. Smaller hospitals and clinics are competing with the larger hospitals for talent. DSN Shari Herzfeld said sometimes it’s not pay, there might a large hospital that can pay well but the cost of housing becomes the barrier. Dr. Bill Scroggins, President of Mt.San Antonio College, shared about their partnership with Methodist Hospital to create a patient care coordination program for incumbent workers. Dr. Davis spoke about what the community colleges are doing to remedy some of the issues and how the Strong Workforce Program (SWP) works to address the needs of employers. The K-12 SWP is next to roll out and school districts can apply for grant funds to help them align their health pathways to community college pathways, visit http://doingwhatmatters.cccco.edu. Pablo Artaza shared that he provides the training for American Job Centers of California (AJCC) and that the costs are paid by workforce development funds so that low-income participants are not out-of-pocket or left out. His training programs are customized to meet employers’ needs and/or culture. Most students need help finding employment after they graduate or complete a training. Cesar Hindu shared that Medica is a staffing company dedicated to health positions that it is positioned to help Technical College, AJCCs and community colleges place their students. They are a natural workforce partner to are not limited by government, policies or funding. The workforce panel was moderated by Dr. Alma Salazar of the Los Angeles Chamber, Vice President of Workforce Development and member of the California Workforce Development Board. For information, contact Dr. Michelle Yanez at myanez@sgvpartnership.org or (626) 856-3400. The Partnership’s Legislative Action Committee met this week to hear a special post-midterm elections presentation by David Siders, a POLITICO national political correspondent. Siders is a resident of Sierra Madre here in the San Gabriel Valley. Mr. Siders provided a detailed overview of several broad takeaways from the midterm elections, notably the significant increase in turnout – the highest for a midterm election since 1970. This turnout increase coincided with many younger voters turning out to the polls, along with minority voters who typically vote at lower rates than white voters. This electorate was a challenging one for Republicans across the country, as the GOP lost key voters in suburban districts which lead to the loss of their majority in the House of Representatives along with several governorships. While the Republicans managed to win a few Senate seats in places like Missouri, Indiana, and North Dakota, they lost two previously held GOP seats in Arizona and Nevada. In California, Republicans have now lost five House seats and are on the verge of losing a sixth, in addition to key losses in the State Senate and State Assembly, leaving Democrats with supermajorities in Sacramento. Mr. Siders turned his attention to the pivotal 2020 presidential election, noting that several major candidates like Elizabeth Warren, Bernie Sanders, Joe Biden, and Kamala Harris are already staffing up and preparing to run for president. He emphasized that many candidates will jump into this race from the Democratic side, while it is unlikely that President Trump would face a serious challenge from within his own party. In regards to Trump, this election defeat should show all Republicans – even those few who remain disaffected – that unless they rally around this candidate, their party is unlikely to prevail in future elections. The Nov. 6 midterm election has been devastating to Republicans in California. If Cisneros and Porter win, the party will have lost six of its 14 House seats in the state, essentially a wipeout in every contest that both parties spent heavily to win. The three Republicans already bounced from Congress are Reps. Dana Rohrabacher of Costa Mesa, Steve Knight of Palmdale and Jeff Denham of Turlock in the San Joaquin Valley. Democrat Mike Levin won the seat of retiring GOP Rep. Darrell Issa of Vista in the fourth district flipped so far. In another blow to California Republicans reeling from defeats in the Nov. 6 election, Democrat Katie Porter has ousted GOP Rep. Mimi Walters in an upscale Orange County congressional district that was a longtime conservative bastion. At the same time, the updated vote count Thursday by the Orange County registrar of voters had Democratic House candidate Gil Cisneros pulling 941 votes ahead of Republican Young Kim in an adjacent congressional district. The Associated Press projected Porter’s unseating of Walters in the 45th Congressional District contest after Orange County’s tally found that the two-term incumbent had dropped 6,203 votes behind her challenger. It is the fifth House seat in California that Republicans lost in last week’s election. Democrats will control at least 44 of the state’s 53 seats in the House. It’s a new low point for a state GOP sorely damaged over the last two decades by the kind of hard-line immigration politics championed by President Trump. In an essay Thursday in the Washington Examiner, former California GOP Chairman Shawn Steel bemoaned the party’s near-collapse, saying Republicans were “completely outmatched” in fundraising and grass-roots organizing. “California Republicans, long in the wilderness, have now reached the point of desperation,” he wrote. Citing tariffs on imported steel, tighter immigration policies and rising wages, the Gold Line Construction Authority board Tuesday voted to build only half the Glendora-to-Montclair extension, saying runaway construction costs could prevent building out to Montclair. By a 5-0 unanimous vote, the board authorized the surprise staff recommendation that the 12.3-mile extension needs to be built in two phases due to costs rising 38 percent, from $1.5 billion to $2.1 billion. The Authority, which had scraped together $1.5 billion and had broken ground on utility replacement work, was about to award a design-build contract and make history as the first light-rail train extending from Los Angeles County to the Inland Empire when all four bidders said their costs would be way above the Authority’s estimated price tag. In order not to derail the entire project, the Authority will use the money to build the first eight miles and new stations in Glendora, San Dimas and La Verne two years earlier than planned, by 2024. The project from La Verne to Claremont, Pomona and Montclair becomes an iffy phase two, dependent on the economy, market forces and the agency finding the extra funding within the next two years. “We have high probability we will be able to build from Glendora to La Verne with the funds we have now. To go beyond that, we need the $570 million,” said Habib Balian, CEO of the Construction Authority at the special board meeting in Monrovia. The good news just keeps coming for California Gov.-elect Gavin Newsom. Not only did he win a resounding 60 percent-plus landslide, but he will be greeted by a two-thirds supermajority of fellow Democrats in both houses—more than sufficient to approve a tax increase. Not that he’ll need it any time soon. That’s because he’ll also inherit a $200-billion plus budget that, as it turns out, is in “remarkably good shape” heading into the coming year, with nearly $30 billion in combined reserves and unexpected tax revenue, the Legislative Analyst’s Office reported Wednesday. “By historical standards, this surplus is extraordinary,” the analyst wrote in its annual fiscal outlook for the 2019-20 budget year. One reason for the analyst’s projected surplus is that spending increases will be “very low” for a variety of reasons, not the least of which is that under Gov. Jerry Brown, lawmakers have sought to limit increases in ongoing spending. For the first time since LA Metro killed the extension of the 710 Freeway, the agency on Wednesday approved 34 alternative projects, saying improvements to roads and major thoroughfares affected by traffic from the freeway’s northern terminus represents a new, cities-driven approach that flies in the face of Caltrans’ more-than-60-year desire to complete the 4.1-mile gap between El Sereno, South Pasadena and Pasadena. The Metro Ad Hoc Congestion, Highway and Roads Committee unanimously approved the first set of projects worth a total of $514.4 million. The list must be approved by the LA Metro Board of Directors at their meeting in December. The cities of Pasadena and Alhambra — who have opposed and supported the freeway extension, respectively — are the big winners. Tuesday’s midterm elections were important for the country’s future. They were also crucial for the Republican Party’s future. The GOP’s massive losses in traditionally Republican suburbs have set it irretrievably on a new path. Either it re-creates a William McKinley-style coalition based on the working-class voter or it dies. The party’s devastation in traditional, high-income suburban bastions is unmistakable. Nearly every House seat it lost was in these areas. Districts in suburban Atlanta, Houston and Dallas that voted for Mitt Romney in 2012 by between 15 and 24 points went Democratic. Districts that Republicans had held for decades outside Chicago, Los Angeles and Philadelphia fell. The blue tide even swept away a GOP seat in Oklahoma City. This trend was more than a coastal fad. Republicans are used to being the party of the upper middle class, and their natural reaction will be to prioritize regaining these lost ancestral homes. But they should resist that urge, at least insofar as it would conflict with efforts to serve another, crucial part of the evolving GOP coalition: working-class, Obama-Trump voters. Those voters turned out in droves Tuesday, and their unexpected loyalty to their new party saved the GOP’s bacon. Their support captured two Minnesota House seats and rescued a number of other Republican candidates. They also propelled North Dakota’s Kevin Cramer, Indiana’s Mike Braun, Missouri’s Josh Hawley and probably Florida’s Rick Scott to victory in the Senate; had they not voted Republican, at least two of these seats would have stayed Democratic, and the post-election story line would be much different. Their votes also secured key governorships — in Ohio and Florida (pending a recount), specifically — for the party, preserving its control over redistricting there after the 2020 Census. Nonetheless, their importance remains drastically underappreciated by the GOP leadership. On Tuesday, in most states Obama-Trump voters’ support was high but still below 2016 levels. Had the party been willing to embrace them rather than ignore them, that support could have increased further, perhaps allowing Matt Rosendale to prevail in Montana’s Senate race. At least five House seats with large numbers of these voters also narrowly went Democratic. Overlooking these places was a mistake. Tuesday’s results should force the GOP to court these crucial voters more aggressively. That will mean looking at what they value and making a concerted effort to meet their concerns. New officers for the Partnership Board of Directors were approved during the October board meeting. Please join us to welcome Luis Cetina, Mehdi Emrani, Jason Lyon, and Sam Pedroza. Below are their abridged bios. Luis Cetina is a principal government and regional affairs representative in the Legislative Services Section of the External Affairs Group at The Metropolitan Water District of Southern California (MWD). Luis joined MWD in 1986 as a student surveyor, and is currently responsible for promoting water policy among the members of the council of governments various chambers of commerce and economic partnerships of the San Gabriel Valley and Gateway Region and the state and federal elected officials of those regions. Luis earned his B.S. degree in Civil engineering with emphasis on the environment from the California State Polytechnic University of Pomona. Mehdi Emrani is a Regional Vice President with Wells Fargo Bank’s Middle Market Banking Group in the Greater Los Angeles East Region. Mehdi joined the company in 2005 and has spent the majority of his 13 years at Wells Fargo with the Middle Market Banking Group. Before joining Wells Fargo, Mehdi worked as a chemical engineer with Eastman Chemical supporting operations at manufacturing facilities throughout the Midwest and California. Mehdi earned his B.S. degree in Chemical Engineering from Northwestern University and his M.B.A with concentrations in finance and marketing from USC’s Marshall School of Business. D. Jason Lyon is a litigator at Hahn & Hahn LLP, a 119-year-old general service law firm in Pasadena. His practice focuses on commercial disputes as well as trust and employment matters. Jason earned his BA in film and television from the University of North Carolina at Chapel Hill. Prior to practicing law, he worked as a producer in documentaries and television commercials. Jason received his J.D. from the UCLA School of Law (Law Review, Michael T. Masin Scholar, Order of the Coif). Sam Pedroza has recently joined the City of Industry as its Public Affairs Manager. The newly created position will be responsible for the development and implementation of the city’s communication strategy and objectives. His responsibilities include the coordination of the city’s information, communications and public relations activities. Sam previously worked in the Public Information Section of the Sanitation Districts of Los Angeles County. Sam has a B.S. degree in Public Administration from San Diego State University and a Master of Science in Urban Planning from UCLA. Here's a linked to the Los Angeles Times' full election results page which tracks races across the country and here in California. Many races are still undecided as provisional and mail-in ballots are slowly being counted in states and counties across the nation. Recounts are underway in Florida and Georgia while here in California, several extremely close House races are still awaiting a final outcome which may not come for over a week. Gavin Newsom first ran for governor in 2010, an effort he abandoned and then relaunched in 2015 with the long, long campaign that crescendoed tonight. Now that California voters have given the 51-year-old Democrat the job he has sought for eight years, he is about to discover that winning was the easy part. Governing is hard, particularly in a state as big, complex, troubled and expensive as California. We have the world’s fifth largest economy and, with our cost of living, the nation’s highest rate of poverty. The shortage of affordable housing has pushed the middle class out of the state’s coastal jobs centers—or out of state altogether—while exacerbating a decades-long crisis of homelessness and sending college housing costs into the stratosphere. Pension costs weigh on city finances, wildfires rage nearly year-round, the academic achievement gap hobbles prospects for too many poor and brown public school students, and lately the state’s relationship with the federal government has been one of permanent litigation. He hasn’t always detailed how he would pay for his promises, nor which policies he would be willing to jettison in the face of political pushback or certain budgetary constraints. That changes on January 7 with his inauguration. On key issues, here’s what to expect. After the victory music had quieted, after the introduction by his wife was done, Gavin Newsom took to the stage at a Los Angeles nightclub and began to walk the fine line that will likely define his first year as California governor. Even as he laid out his vision for renewing California, calling it “a land of plenty but… far from perfect,” Newsom praised the man he will replace. “For literally my entire life, Gov. Jerry Brown has been blazing his trail. He’s been a role model for me, and tonight we all owe him a profound debt of gratitude,” Newsom said to loud applause from the crowd that included many campaign donors, lobbyists and Democratic legislators. Democrats in two House races that remain too close to call in Orange County have gained substantial ground since the election on Tuesday, but tens of thousands of ballots have yet to be counted in each contest. The 2,682-vote lead that Democrat Harley Rouda established on election night over Republican Rep. Dana Rohrabacher of Costa Mesa jumped to 4,756 votes late Wednesday when the Orange County Registrar of Voters updated its tally. Another Republican, Rep. Mimi Walters, saw her 6,233-vote lead over Democrat Katie Porter shrink to 4,037 votes. “From the standpoint of the final count, I would rather be Katie Porter than Mimi Walters today,” said Porter strategist Sean Clegg. Walters, who represents Irvine, Mission Viejo and Rancho Santa Margarita in the 45th Congressional District, is now ahead of Porter, 51% to 49%. But that edge is all but certain to narrow further, if not disappear. There are an estimated 70,000 to 90,000 more ballots to count in Walters’ contest as well as Rohrabacher’s. In the wake of an election, we naturally tend to be struck by the strength of the winning side. Who now has momentum in our politics, and what sort of mandate have they won? But the peculiar mixed result of Tuesday’s midterms should help us see the distinct and troubling character of our politics now: It is the weakness of all sides, and the strength of none, that shapes this moment. This was evident in 2016, too. Both major-party presidential candidates were broadly unappealing people, and each was well-suited to lose. The question was who would turn off more voters. The binary character of presidential elections left us looking for explanations of the outcome in President Trump’s distinct strengths, but when you examine his razor-thin victory in a few decisive states, it’s his opponent’s weakness that really tells the tale. And Trump has since governed as a weak president alongside a weak Congress. Tuesday’s elections revealed the same pattern. Republicans had a very friendly Senate map, with 10 Democrats facing reelection in states that Trump won handily. Republicans walked away with roughly three more seats, giving them a slightly less narrow majority in a body that still requires 60 votes for real legislative work. Meanwhile in the House, the Democrats had an opportunity for major gains throughout the country, but they made modest gains in friendly suburbs — winning almost exclusively districts that Hillary Clinton won two years ago. In essence, each party won some marginal voters powerfully turned off by the other, but neither found a way to meaningfully broaden its coalition — which is what it would take to really show strength. City Journal: Joel Kotkin: Signs of Hope in California? Ronald Reagan is not coming back, but California may be avoiding a trip to the insane asylum. Yes, the GOP’s lackluster gubernatorial candidate, John Cox, lost by almost 20 points, and the only issue in the legislature is whether the Democrats regain their supermajority in both houses. But it could have been much worse. The GOP lost only two or three congressional districts in southern California and appeared to be holding its own in the interior. In my own district, to my surprise, Mimi Walters, who was out-campaigned and outspent, managed to win. Others, like the more contentious Dana Rohrabacher, did not. Without a change in approach, Republican growth potential is limited by changing demographics and an increasingly bifurcated state economy. At best, the GOP, running on its traditional anti-tax platform, can get up near 45 percent—as shown in the failed repeal of the gas tax, Proposition 6—but no further. This strategy still works marginally in places like Orange County and the interior but fails overall. In a sense, California elections are now about how far left the state is willing to go. Proposition 10, a measure to expand rent control, was soundly defeated by a massive ad campaign targeting homeowners fearful of seeing curbs on the prices that they could charge to rent their homes. The outcome suggests that if the business community appeals to the middle-class without the Trumpian baggage, voters will support more moderate positions. Perhaps even more important was the victory of Marshall Tuck, a Democrat running with Republican support for Superintendent of Education against the candidate of the teachers’ union. But the limits of moderation are always evident. Steve Poizner, a registered Republican running for State Insurance Commissioner, appears to be falling behind Ricardo Lara, a far-left Democrat best known for leading the fight for single-payer health care. Despite improved earnings by lower-wage workers, Republicans remain in serious trouble in Latino and African-American communities. Simply put, a competitive California needs a racial realignment that adds to the shrinking base of white GOP voters. The best target for that goal is the Asian community, the state’s fastest-growing and arguably most successful ethnic group. Asians may be repelled by Trump’s immigration rhetoric, but they tend to be middle-class homeowners who care about schools and safety, and they won’t be happy if the Democrats move further left in terms of seizing zoning policy from communities or feeding the public sector with ever more middle-class taxes. Voters across the country went to the polls and delivered mixed results at the federal level, as Democrats won 26 seats to win back control of the House of Representatives, while Republicans held the Senate and picked up three seats. Democrats also won significant victories in statehouses, picking up 7 governorships and flipping control of several state legislative chambers. Here in California, Democrat Gavin Newsom was elected governor by a wide margin over his Republican opponent, John Cox. Democrats won every statewide partisan office and defeated key Republican incumbents in the House. In the San Gabriel Valley, Republican Young Kim defeated Democrat Gil Cisneros is the open 39th Congressional District which covers Diamond Bar, Rowland Heights, Walnut, Industry, and Hacienda Heights here in LA County as well as parts of Orange and San Bernardino Counties. In the open 22nd Senate District, Baldwin Park Councilwoman Susan Rubio defeated former State Assemblyman Mike Eng. For full statewide office and SGV results, click here. Proposition 6, the repeal of the gas tax, went down to defeat as did Proposition 10, which would have expanded the ability of local jurisdictions to enact rent control. In LA County, Measure W, which places a property tax increase to fund stormwater clean up projects, appears to have passed narrowly with just over 67% of the vote. A host of local ballot measures passed to increase city sales tax rates or fund school maintenance operations. 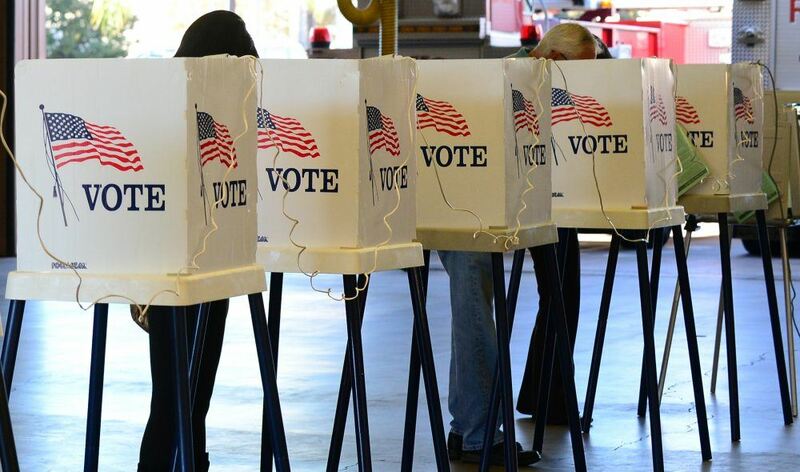 Click here for full statewide and local SGV ballot measure results. In SGV city council races, there were significant upsets of incumbents in West Covina and Pomona. For full SGV City Council results, click here. Stay tuned to the Partnership for additional analysis as results continue to come in locally and from around the country. At next week’s Legislative Action Committee meeting, there will be a full recap of the midterm election results, featuring national political correspondent for POLITICO David Siders. Mr. Siders will provide his analysis of the midterm results from a national and California perspective. We will also dive into the results of our races here in the San Gabriel Valley for city councils, school boards, water boards, and the fate of several important local ballot measures. This is a members-only event – please register to attend today.